Like many of us, you’ve probably wished you lived in another decade and era. Perhaps you are in love with La Belle Èpoque, Art Deco, Modernism or anything in-between. In Woody Allen’s movie “Midnight in Paris”, the protagonist explores his love with nostalgia, thinking that the past is better than the current. Aaron Whiteside, feels exactly the same way. 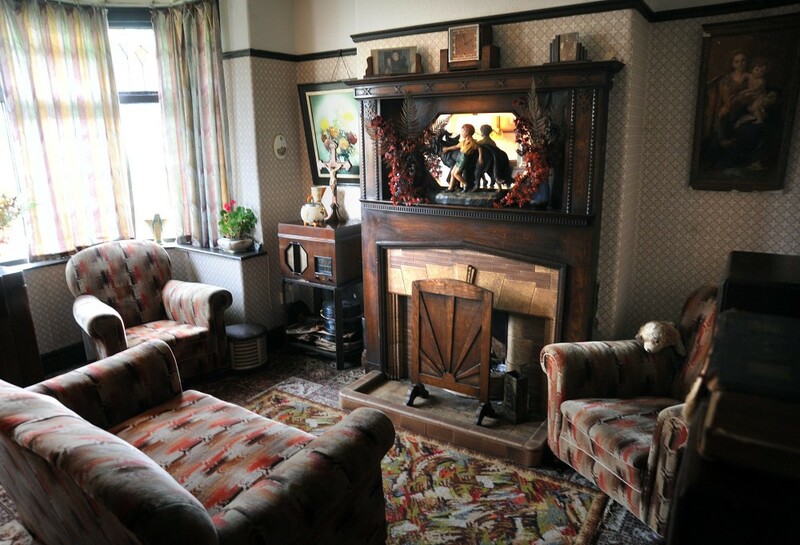 Located in a semi-detached house in Blackpool, England we find a fully functional time capsule straight out of pre-war 1930s Britain. The owner, Aaron bought the house 7 years ago for £80,000 and spent the following years renovating and redecorating it. The house includes art deco pictures, war time memorabilia and is even heated like a pre-war house with four coal fires. The period wallpaper seen on one of the photos cost a jaw-dropping £100-per-roll, and was rescued from a time-capsule buried in Germany in the 1930s. Copies would have obviously been much cheaper, but there’s just something about having the real deal. Even the cooker in the kitchen is authentic, as well as the three fireplaces and four coal fires. Perhaps not the most economic or green alternative available, but it certainly adds to the time warp factor. His next project is to tackle the exterior and repaint it to look like the house did in the 1930s. Better get that t-shirt sorted too while you are at it, Aaron. Which time period is your ideal time to live in and why?